If you are a business with living, breathing customers, you’ll likely do well to communicate with them better. Customers are a tricky bunch. It’s hard to know what they’re thinking, especially if you’re selling a product or a service. What are they thinking? How do you reach them best? Have they heard your latest news? AWeber (pronounced Ey-Webber. . .I had to look it up) makes the process of communicating with your customers somewhat easier, in simply customizable ways. 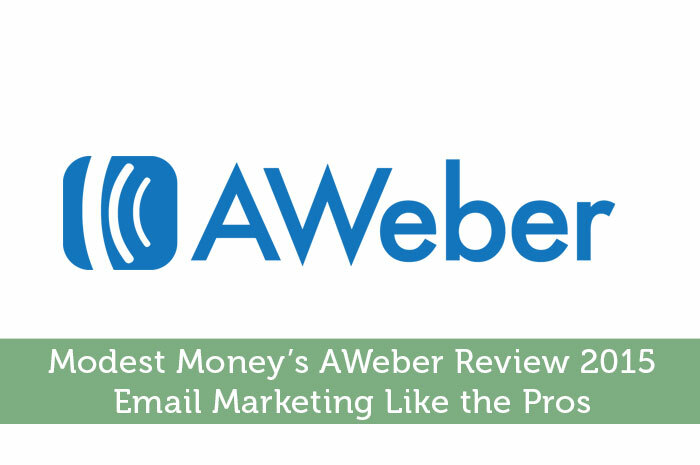 AWeber is all about email communication and marketing. Through automation, handy tools, and adaptable techniques, AWeber insures you get the most out of your email communications. See AWeber Pricing and DetailsStart benefiting from an e-mail newsletter today! On the surface, AWeber doesn’t sound fancy. Even though email has this pre-millennial ring to it, it is nonetheless central to the way real people communicate. If you want to engage the people who buy your stuff, you’ll do so through email. So how does AWeber optimize this process? Let’s say you have a customer who likes what your company does. They like it so much they’re willing to sign up for a newsletter. A great way to welcome them into the fold would be to send them an introductory message, maybe even follow up with them in a couple weeks to see if they have any questions or concerns. But doing this all by brute force typing isn’t practical if you have more than, say, 10 customers. After that, you’re simply going to sacrifice quality or not be able to keep up. That’s where AWeber really shines. You can automate things like welcome emails, periodic communications, messages that go out following specific customer requests, and all manner of marketing campaigns. It’s all so easy, with dozens of template messages available for your use and adjustment. Even better, you’ll know how these messages are being received. This last bit is something I really like about AWeber. With AWeber reporting, you’ll be able to see where your customers are clicking on your emails and newsletters. You’ll be able to see if they’re reading them at all, and what kind of communications work best for specific situations. For savvy users, you can even craft your own apps within AWeber to make the service work with the way you do business. People have complained in the past that AWeber doesn’t give a free trial. But that has changed in recent days; today you can get 30 days free of charge. During this time, you can take advantage of some of AWeber’s free educational webinars, where you can even submit questions at the end of each. AWeber has variable pricing depending on how many subscribers you have, so give them a call if you want to know how much it’ll cost for you. I like Aweber a lot. Email communication optimization sounds simple, but isn’t. AWeber makes the most of your communication, with the least effort and time. Your customers will feel engaged and updated. You’ll quickly be able to adjust your approach, to make sure you are communicating in the most effective manner. When you’ve worked out the kinks, AWeber basically runs itself. But it’s always updating its capabilities, always ready for you to change things up, make things better. Give it a shot with AWeber’s free trial, and see if AWeber can revolutionize the way you approach email marketing and communication.